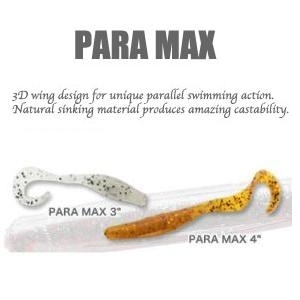 PARAMAX has a very unique parallel swimming action due to its special 3-D wing design which is very different to any other single tail grub. It also made with a natural sinking material which is better for casting. 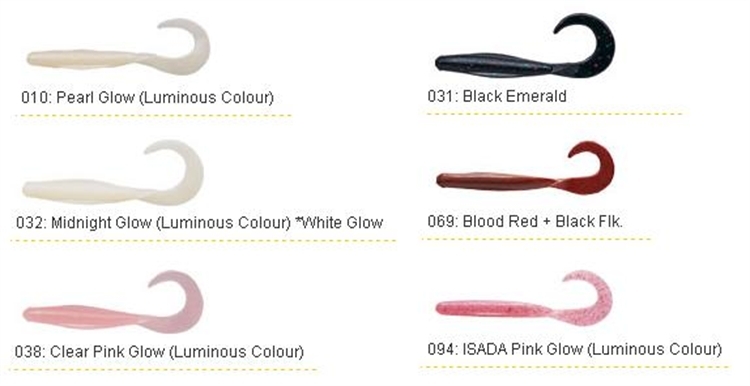 There are many ways to rig them, such as no sinker rig, grubbing buzz, jig head rig, Texas rig, Carolina rig etc. There are 3', 4', 5' for targeting various sizes of game fish in both fresh and salt water.